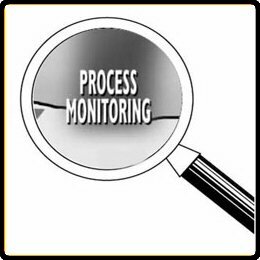 When implementing process control understand these items. Know the desired value. Know the measurement feature. Know how to measure it. Know the unit of measure. Know the measurement device. Know the frequency of measure. Know how to handle good and reject measurements. Learn SPC in an hour. Train your employees. Improve your processes and products. Prevent defects and save your company money. In more complex situations(e.g. : Whole Business Process Management) a more extensive system for control, monitoring, measuring, analyzing, and reporting results versus objectives would be necessary, but the principles remain the same. Designing a new process or changing a process. Preparing for an audit / assessment of a process or system. Creating the building project plans for a new facility. This Data Analysis Video teaches you the basic tools for understanding, summarizing, and making future predictions with your collected data. Includes MS Excel templates. Comparing before and after changes to a process. Helping quality improvement teams to understand a process. Training aid for understanding the process. Understanding the interrelationships of existing processes.